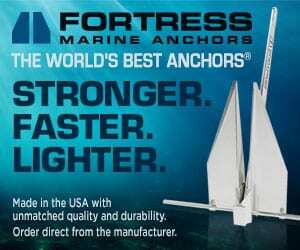 Looking for boat generators? 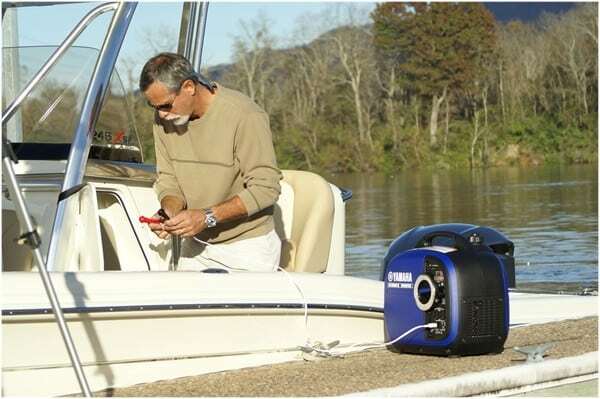 Expand your boating options by adding a generator for your boat. What are the best boat generators? 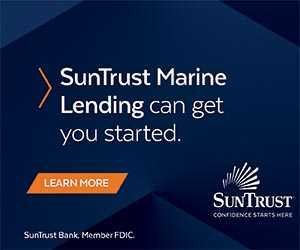 When mariners gather for a discussion about all things boating, the second topic that often comes up relates to boat generators. (The first, of course, is about the quality of the drinks in the establishment.) The generator discussion usually reveals some level of confusion among participants. 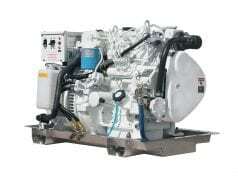 Some are confused about how powerful their generators should be for their type of boating. Others have concerns about noise and fuel consumption, while still others are concerned about pollution. All of these concerns are legitimate. Like any other piece of boating equipment, the choice of size and type of your boat generators depends on how it is to be used. If the plan is to take it to the beach to provide power for a sound system or to keep the drinks cold, any number of small, portable gasoline units weighing as little as 50 pounds are available. Both Yamaha and Honda have been in the portable generator business for decades, but there are other well-built players in the same market. Research—an indispensable boating skill—will help locate and price these units in any skipper’s local area. Many of these small units are as quiet as the inside of a library—about 60 decibels—and they are so light and small they can easily be carried on all but the smallest boats. Many small boats have them on board as a safety item to provide emergency battery charging, since almost all of them are capable of producing direct current (DC). In the past, smaller boats in the 25 to 30-foot range were simply not big enough to be able to carry the weight of an onboard built-in generator system. Similarly, gasoline-powered boats could not have onboard generators due to safety concerns because of gas fumes. 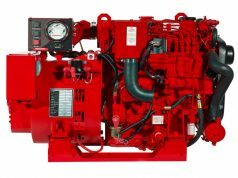 However, in recent years a number of small diesel-powered generators have made their way onto the market. Some of them are referred to as “ignition proof” in that their operation will not trigger a gas fume explosion if installed in older gasoline-powered boats. They also have the advantage of being relatively lightweight. Three builders of this type of generators—Mase, Fischer Panda and Phasor—produce small output, diesel-powered generators in the 2.6 to 4kW range that are useful in even the smallest vessels. Not only do these smaller units provide power for 110V AC tools and equipment, but they can also keep batteries topped up through variously available battery chargers. With the ever-increasing availability of lithium-ion batteries that can be charged very rapidly without adverse effects, boat generators that produce three-phase power are coming onto the market. These units can produce enough power to charge (through a special charger) a set of lithium batteries in a fraction of the time single-phase power can do the same job. Standard appliances don’t like three-phase power, however. A number of smaller generators offer a three-phase option. Another option most of the manufacturers are now making available is a generator with Direct Current (DC) output. These units produce battery-charging power for vessels using an inverter to produce AC current from an onboard battery bank. Any skipper who is considering adding a new boat generator should spend some time determining exactly what his electrical load is likely to be. All electrical appliances have the power requirements listed on the nameplate or electric motor. The power requirement will be listed in watts. When on full, electric heaters, refrigerators, and freezers usually require 1,500 watts—to run them all at the same time will take 4.5kW. Don’t forget about a microwave, electric cooktop, water heater, and electronics. After all appliances and systems are examined and the skipper factors in how the electrical system will be used, the total power requirements will be determined and a decision on the type and size of the boat generator can be made. Looking for more? 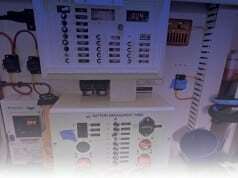 Learn how to repair your generator. Should you replace or repair your generator?